Doesn’t seem like its a good start to the year off with a rise in the jobless claims — especially when a decrease was forecasted. I am not sure that I can say that I am all that surprised — many news reports seem to make connections between the soft retail sales in December — that might have something to do with it — but I don’t think its the whole story. Ultimately I think that this is going to be slow to turn around and that there are not quick fixes or miracles. I’d like to see more people talking about skills-mismatch vs the jobs that are in demand and how to get those better aligned — for the current workforce as well as the future workers. I think that is the bigger piece that we should be solving for, not just waiting on things to turn around with the economy. Just my thoughts — what are yours? Another interesting look at the numbers — what do the numbers tell you? Is unemployment really going down because people are getting jobs, or is it because they have given up? Its really hard to say — even for me — and that’s as an HR professional, hiring manager, and the girl of a guy who was laid off in 2009 and has been on a roller coaster of a ride to find work over the last few years. I can see it from all angels — but its also hard to refute what we’ve actually been through — since I’m in a unique experiencing this on both sides of the argument. The nation’s unemployment rate fell this morning to 7.6%. That’s good news…right? Home prices are rising smartly around the country. That’s good news…right? Wrong…on both counts. Unemployment is only lower because there are fewer workers in the labor force. Single-family home prices are only higher because institutional investors are buying up distressed properties, one at a time and in bulk, as fast as their flash cash can fly.The falling unemployment rate is easy to see through. With only 88,000 jobs added in March, where estimates called for 200,000 new jobs, the ranks of the unemployed only decreased because the number of people in the total labor force decreased.Workers are still here, only they’ve given up looking for work and because they aren’t considered unemployed if they aren’t looking for work, the rate goes down. America’s labor participation rate is now 63.3%. That’s the lowest it’s been since 1979. Unemployment isn’t shrinking. The number of people looking for work who haven’t been able to find jobs for months and years and have just given up isn’t shrinking, it’s growing. via Rising Home Prices And Falling Unemployment: Don’t Trust the Numbers – Forbes. Things are looking up for job seekers, at least according to the latest unemployment report for February. Reuters reported that the unemployment rate fell to 7.7 percent, the lowest rate since December 2008. So after years of struggle, new opportunities, (236,000 jobs in the last month) are for the taking for job seekers and professionals wishing to change jobs and careers. While the workforce makeup may likely never return to pre-2008 levels, 2013 will see the growth of several new employment sectors. If you are seeking employment, be optimistic. New ideas, prospects, and resources are available. The American economy is improving. However, 12 million Americans are still currently seeking employment. While it’s progressing at a slower rate than everyone would like, it is headed in the right direction. The financial markets are closing in on all-time highs. Recent employment data has been positive, and forecasters predict continued growth in 2013. Approximately 170,000 new jobs per month are expected, with unemployment dipping below seven percent by the end of the year. Over the last five years, employers’ needs have changed. Due to the economic decline, employers learned that they could survive and grow with a leaner workforce. Many former positions have been eliminated, but new prospects in technology, design, and networking have created a strong demand for trained professionals. The dynamics of our economy have changed and will continue to do so in terms of developing an efficient and effective workforce. In addition to a recovering economy, the wealth of online resources for job seekers is almost overwhelming. Consider today’s tools for job searching in contrast to the standards of only 20 years ago. The landscape has been revolutionized by technology. Job search engines are prevalent, as are detailed job postings on companies’ websites. While the tried-and-true classified ads are still a resource, the digital world offers you greater convenience and accessibility, and a chance to really refine your search for the perfect position for you. All of these advances work to aid your quest for new possibilities. Many professionals have switched careers altogether in recent years. Switching careers is a brave and bold decision, but in our post-recession workforce, it can be the right choice for many. Over 3.5 million jobs are available in today’s economy if you have the right skills and experience. To gain these skills, consider online and offline resources that can help train you for a new field. Current knowledge in technology, operating systems, and network administration is sought after in many areas. Skillshare is a great online resource to begin exploring. Offline resources, like the Flatiron School, also offer very skill-specific training courses that can be completed in a relatively short period of time. The course to build web developer skills only takes 12 weeks and can lead to immediate employment in many locations. My own company recently hired two web developers trained at this school; one previously worked in finance, while the other was a boxer. Change can greatly benefit not only your current situation, but your future opportunities as well. A new year offers a variety of reasons to be optimistic about job market trends. Our economy is recovering, and companies are more willing to hire than in the dark days of 2008. With greater online resources available, the job search itself has become more convenient and specific for your needs as a professional. It’s possible to search locally or nationwide with the push of a button. This impressive technology — and the changing demands from it — have changed our workforce. With an open mind about your career and the skills that could most benefit you in the future, your potential is unlimited. This post was originally published on Under30Careers. 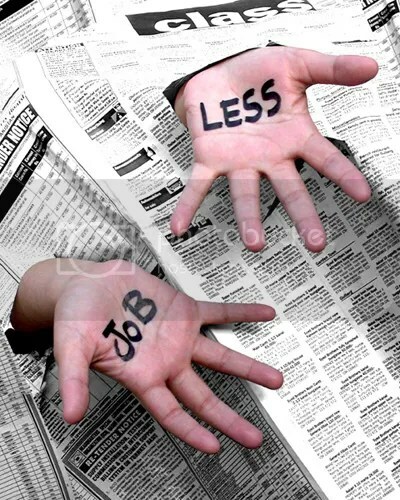 via 3 Reasons Job Seekers Should Be Excited About Their Prospects in 2013 |.